Thanks LAist for the nifty pic board. These dolls made my inner 16 year old Goth give my inner 9 year old Barbie lover a huge hug and then they ran into my inner Manga fan (those are comics, mom) and they all threw a party. I love these things. 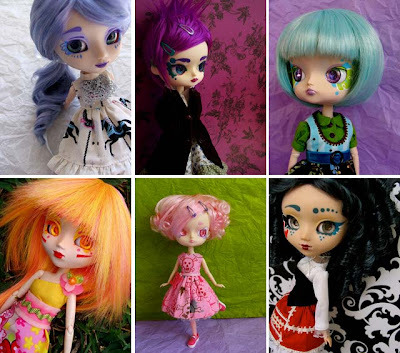 They're like Blythe dolls gone wrong. They're called Zombuki and the website has a photo shoot for each one. Totally cute. My favs are here and here.